and Catalan; if you require additional languages, please let us know. along with default task durations and dependencies. 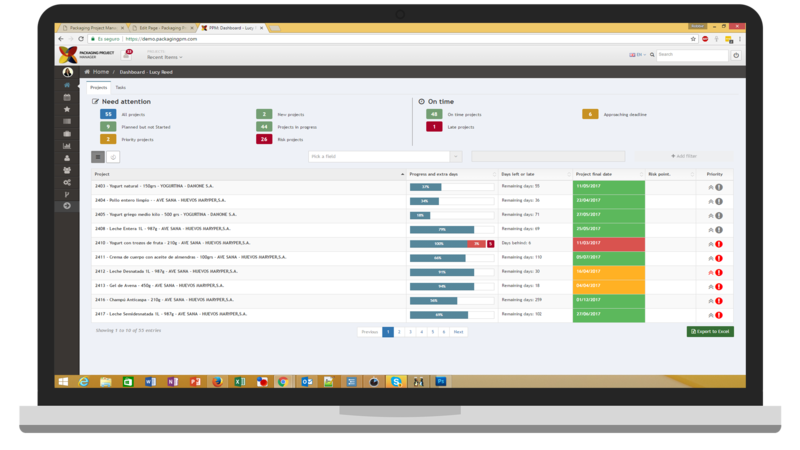 PPM is infinitely customizable for each customer. Do you manage projects to get packaging (or any other document) just right? Packaging Project Manager is specialist project management and collaboration software that helps packaging design teams improve efficiency, quality and throughput. 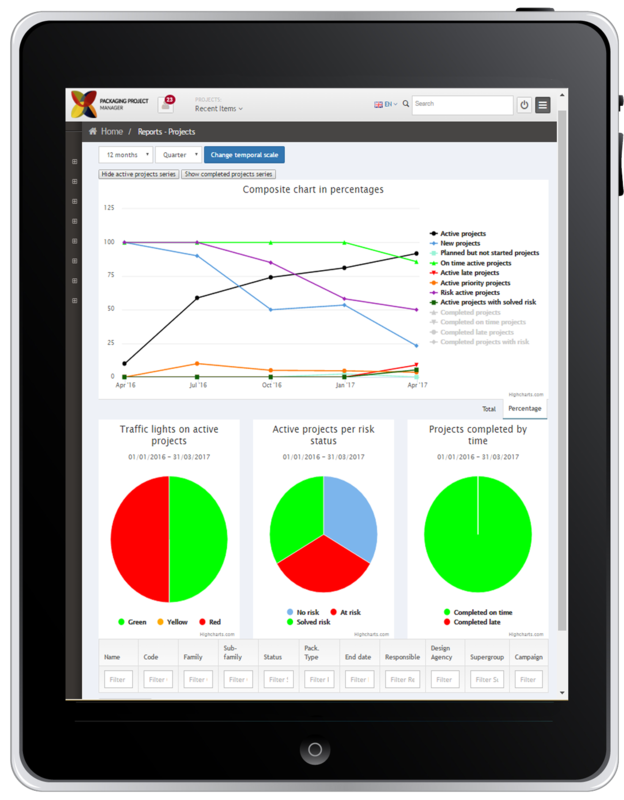 Built-in user performance and management metrics and auditability. PPM is especially good if you run multiple projects that must follow the same process. Packaging Project Manager (PPM) collects and interprets information to provide Key Performance Indicators (KPI), and provides dashboards, visual aids and alerts including by email and in app notification to manage deadlines, risks and comunicate priorities when managing a large number of potentially costly and risky packaging design projects. PPM helps packaing managers, manufactureres, design and marketing agencies and project owners. 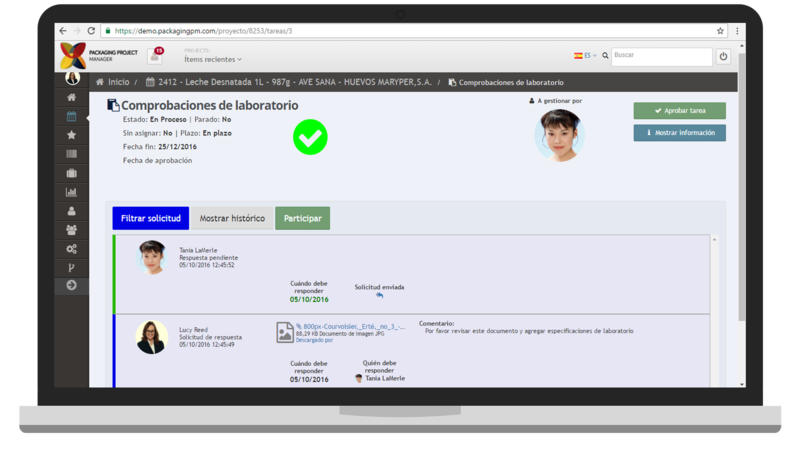 It facilitates the participation of laboratories, translators, photographers, printers and other providers to the digital design and document production process. 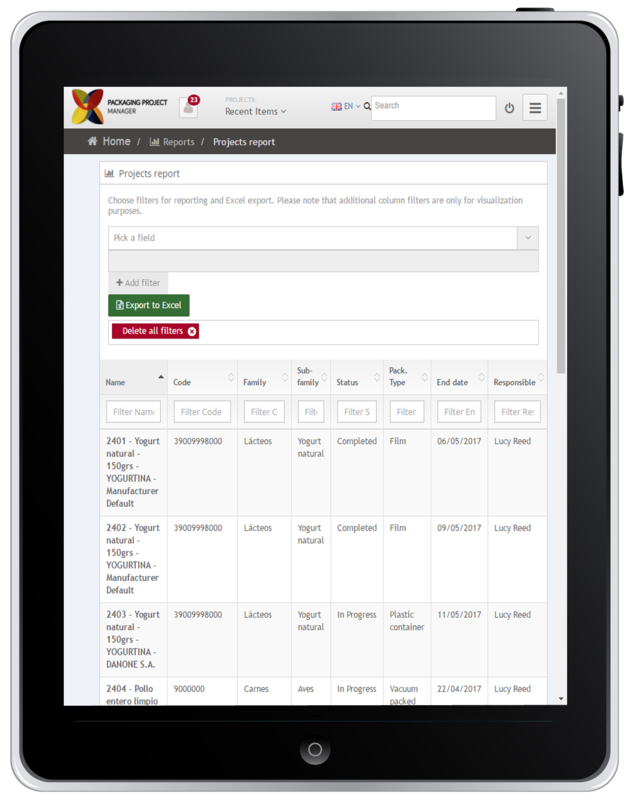 PPM’s web interface facilitates access from multiple locations and on any device. Automation & Quality Assurance – Each project is automatically created with all the necessary tasks assigned to the right people according to your best practice, nothing can be skipped or missed. 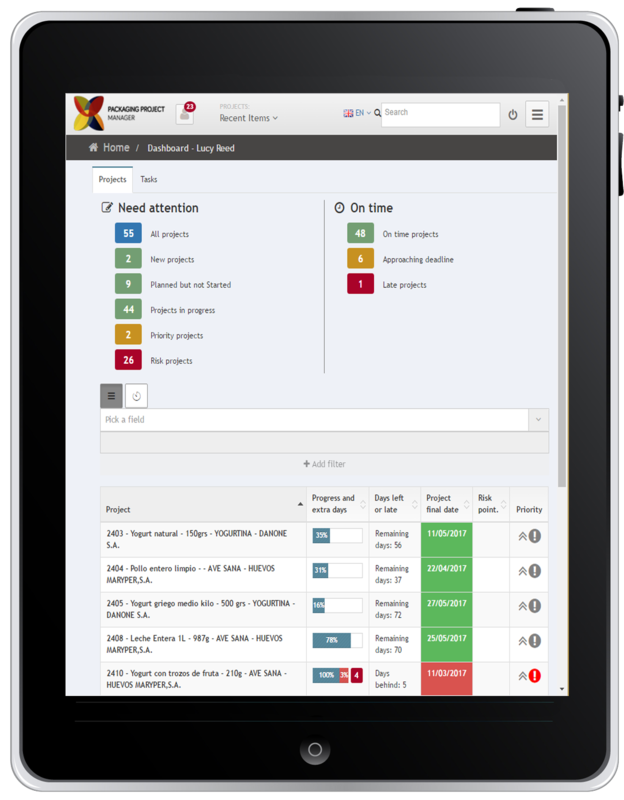 Improves project velocity – Clear lines of responsibility, deadlines, automatic and manual risk and problem identification, organised communication with warnings and notifications. 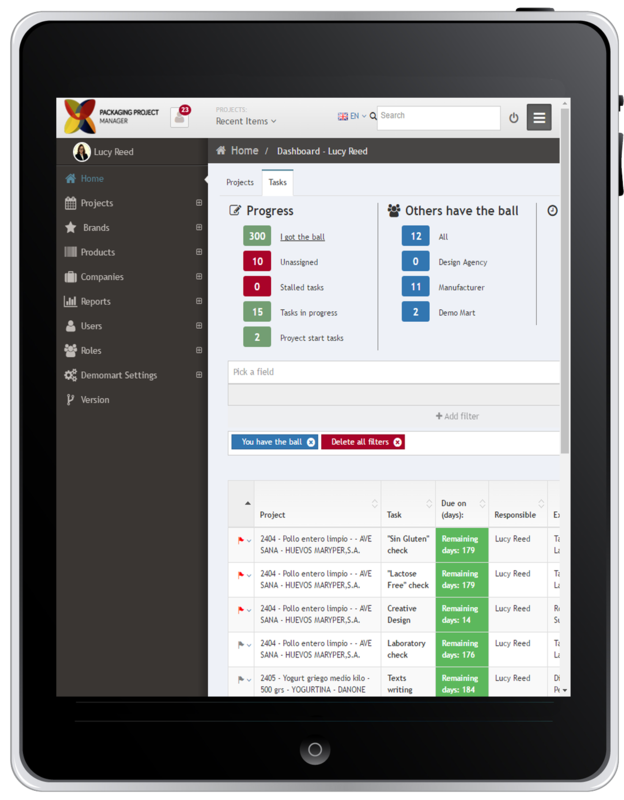 Everyone knows what to do next – Tasks and projects are prioritized into a clear order of attack for team members, with an easy and quick system for organization and reorganization of tasks. KPIs – Metrics and analysis of project progress and team member performance. Designed for document production – built for the production of printed documents, ideal for managing document versions and the correction process. 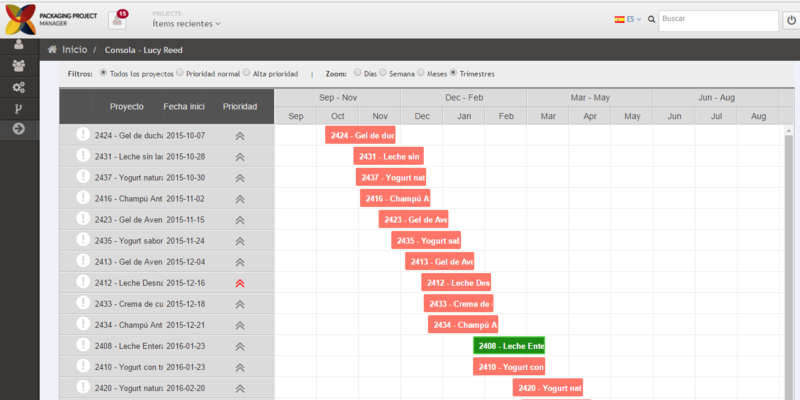 Project overview – see at a glance how many projects at each status your company has both now and in planning. Designed for packaging – preconfigured templates and workflows for the packaging design process. Awesome collaboration tool – ideal for working with internal and external teams. Total control – Highly configurable and detailed system of role based permissions. Pay per user, we take care of infrastructure, security, updates etc..